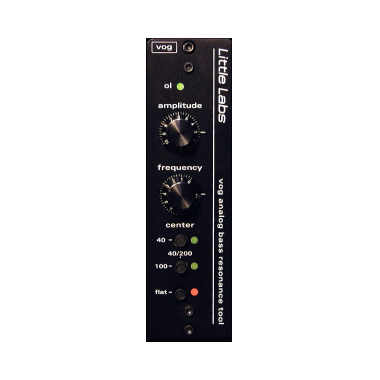 The VOG analog bass resonance tool is the latest creation from Little Labs, and is Little Labs first entry in the popular API 500-Series module format. The VOG was originally designed to capture the chest resonance of vocalists or voice over artists, enabling them to still have a proximity type effect without havingto be so close to the mic, hence the name, VOG, or Voice of God. 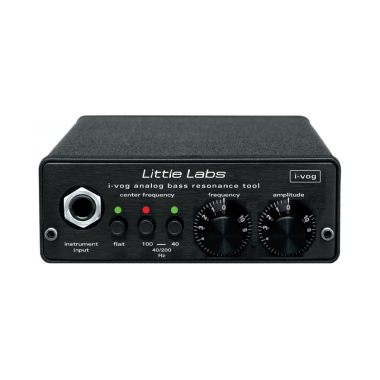 However, when I heard it on kick drum and bass, it became clear this would be the go to device to make these instruments sound huge. The VOG lets users sweep a sharp peak resonance from 20 to 300 Hz, while anything below the peak is rolled off at a steep -24dB per octave. 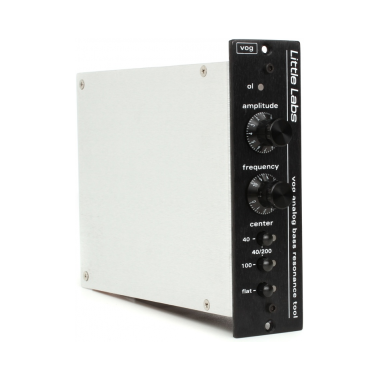 This lets users focus on the low end they want, while eliminating low-end mush and unnecessary woofer excursion. A subharmonic can be the focus, or the fundamental, or upper harmonics. 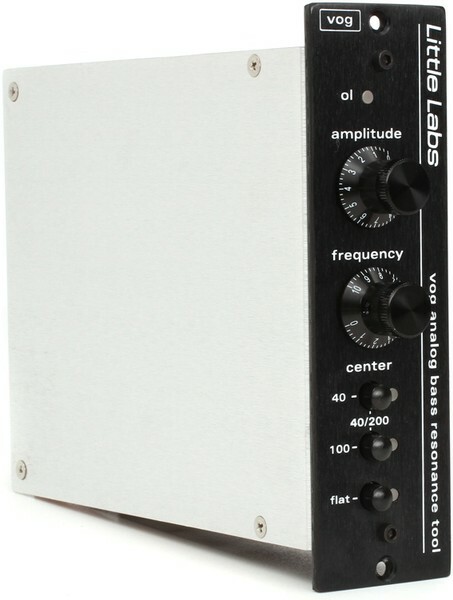 On a kick drum, for example, the overall effect of turning VOGs frequency knob sounds like someone is tightening or loosening the drumhead. In a mix, VOG allows users to place the bass spectrum instruments so they do not interfere or get in the way of each other. The i-VOG is identical to the VOG, but it's a standalone version, no rack required. Oh, but it does add a hi quality hi Z instrument in which adds to its creative capability.